The venerable 105-year-old IBM may be a global company, but while it has operated important labs and offices overseas, its business units have always been headquartered in the U.S.
Until December of last year, that is, when it opened the new global headquarters for the IBM Watson Internet of Things (IoT) unit in Munich, Germany. Now, faced with dramatically increasing global demand for Watson IoT solutions and services, Big Blue is doubling down on that investment. 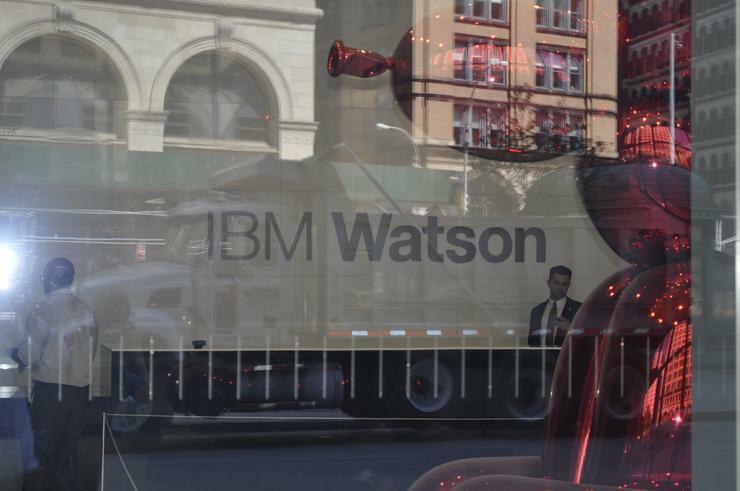 On Tuesday, IBM announced a $200 million investment in the Watson IoT headquarters, marking one of the company's largest investments in Europe in its history. The investment is part of the $3 billion IBM has earmarked to bring Watson cognitive computing to IoT. IBM says the move is a response to escalating demand from customers who are looking to transform their operations using a combination of IoT and artificial intelligence technologies. "IBM is making tremendous strides to ensure that businesses around the world are able to take advantage of this incredible period of technological transformation and develop new products and services that really change people's lives," Harriet Green, global head of IBM Watson IoT, said in a statement Tuesday. "Germany is at the forefront of the Industry 4.0 initiative and by inviting our clients and partners to join us in Munich, we are opening up our talent and technologies to help deliver on the promise of IoT and establishing a global hotbed for collaborative innovation." Automotive and industrial supplier Schaeffler, based in Ehningen, Germany, is just one of the customers that underscores IBM's move to center its IoT efforts in Munich. Schaeffler on Tuesday announced a multiyear strategic partnership with IBM focused on the digital transformation of its entire operations and customer solutions via Watson and IoT. "Our goal is to be the world's leading manufacturer of cognitive solutions which keep the world moving," Peter Gutzmer, deputy CEO and CTO, Schaeffler, said in a statement Tuesday. "We are entering an age where parts can monitor and evaluate their own performance and even order their own replacement when necessary. Schaeffler is a world leader in product development and manufacturing, IBM in hybrid cloud and cognitive computing; through this partnership, we are ushering in the new industrial era."